The PATH TO REDEMPTION is a six month long event set up in six separate segment each a month long. You can join in at any time! 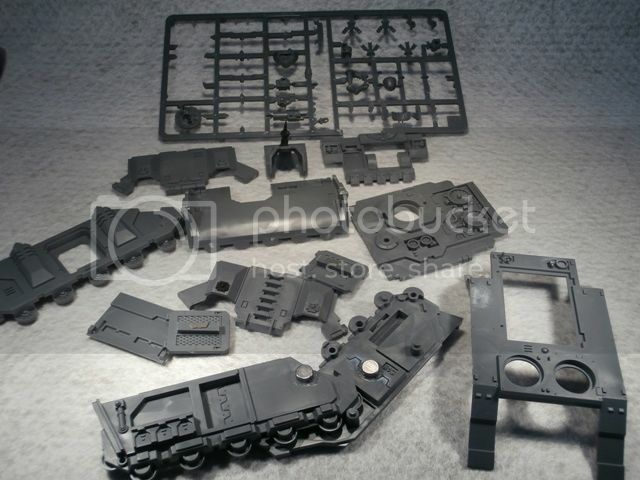 Background: We all have that half complete army, the squad you always wanted to expand, the Land Raider you wished you had built, the Deathwing command squad that was left half done because the next new release came on the shelves and so on and so forth. The Librarium Painting Competition has long sought to stimulate you to complete your models and the E Tenebrae Lux built on that with competitive incentives by challenging the other forums. There are many who did not participate, other’s who failed their vows and even more did not vow as much as they had hoped to. The Path to Redemption will provide our brethren with a gentle incentive to complete your half done projects. This is simple, low level, insidious and hopefully alluring event that I hope will allow our brothers to complete their old projects and start new ones at a time when the Unforgiven are flexing their collective strength as a legion and await the Lion to awaken! The event timeline is expected to cover the release of the Dark Vengeance starter set, the first of the FW Horus Heresy Series and hopefully the release of our much awaited Codex and finally slot neatly in to the beginning of the 2013 LPC!! a. This is a modeling and painting competition. b. There are 6 segments each commencing on the 1st of each month and finishing on the last day of the month. c. Each segment is completely separate from the other so you can choose which of the six months you wish to enter. d. There is an incentive to complete each of the six months as explained below in the "What you get for your troubles" section. 2. Anyone can enter but the models should be Dark Angels or their unforgiven successors. 1. Make an oath on this thread at any time between the 1st of the month and the last day of the month with an image of your starting models (in whatever state they are in). 2. List the points value of your oath in order to ensure it is codex legal. 4. When complete modify your original post with the completed project. 5. Your oath must be complete by the last day of the month. 6. You make a separate oath for each of the months you wish to enter. 7. You may make as many oaths as you wish within each of the months but only once you finish the previous oath. However, regardless of the number of oaths you have completed within any given month, they all count as one achievement for the purposes of receiving the pearl on your banner. You must complete all oaths within each month to receive the pearl. 1. 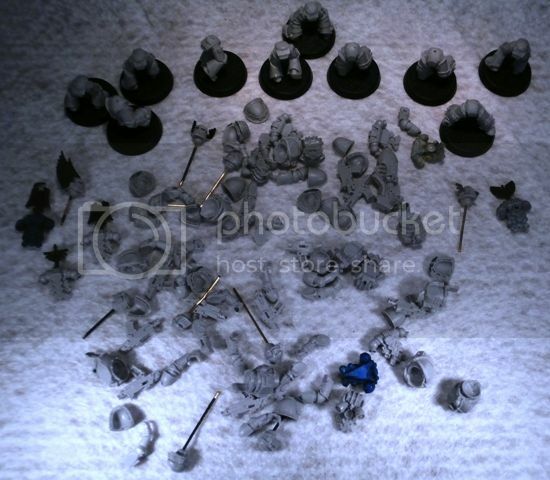 Start from scratch: Brand new models, ie Dark vengeance starter set. 4. Fully painted squads/units which you wish to expand are also fine. 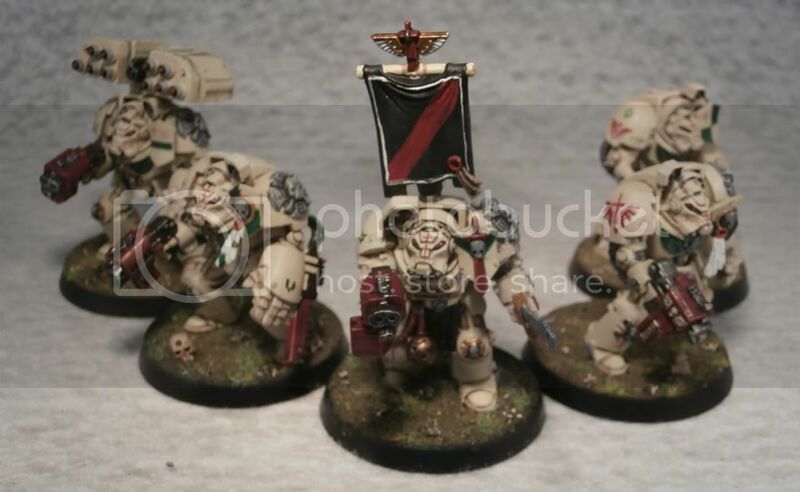 Eg: You have a five man tactical squad fully painted but wish to expand it to a ten man squad that is entirely fine, post an image of the five man squad and the new squad pieces and then show an image of the ten man squad at the end. 5. A fully painted squad or character that needs basing. 7. Add a dedicated transport to a previously completed squad. So, it really is an event to mainly get you to complete any model, squad, vehicle or army that has been waiting for your love! But, with the release of the new Dark Vengeance starter set and the possible release of the FW Horus heresy series in October and our own dark Angels Codex sometime new projects are also most welcome. 1. You begin on the Path to Redemption in the eyes of our primarch. 3. Surprise badges to go along with the banners at the end of the six months. 4. Earn a single white pearl for the completion of your oath for each month. 5. Earn a single coveted Black Pearl by earning a total of six white pearls. If you were unfortunate enough to miss one or more of the earlier months, you still have a chance of earning all six pearls and therefore the much coveted Black Pearl. However this will entail some additional surprise tasks as well which will be revealed as we go along. Complete an additional oath for each of your empty monthly slots in the standard fashion (DA Codex/FW legal units) and when complete you will be given a specific special task to complete in order to ratify those as being accepted. Award: You will be awarded a single white pearl for each of your monthly oaths once the special task in completed. This option recognizes the efforts of some of our battle brothers who have completed oath after oath within each month for no particular reward other than their love of our legion. Award: If you have completed a total of ten additional oath during the whole duration of the event (The initial oath for each month does not count) then you are eligible to be awarded a SINGLE White Pearl to be used to fill up any slot in your banner, past or future. You can only earn a maximum of a single white pearl for this category regardless of the number of additional oaths you make. Example: If you had vowed 3 additional vows in after completing your September oath and did so again in October and December and then in January made a single additional vow, you will receive one white pearl each for the months of September through January for a total of five white pearls. You will also in addition receive a sixth white pearl as you had made a total of 10 additional vows leaving you free in February. This is an incentive to those admirals who wish to participate in this event. You may make an oath of any BFG legal Dark Angel fleet assets as a normal oath. Award: If you complete a sum total of 1000 points worth of Fleet Assets (BFG) during the duration of the event, then you will be eligible for an additional White Pearl. You can only earn a maximum of a single white pearl for this category regardless of the points size of the fleet assets.. Example: If you pledge a Battlebarge for December and a Battlebarge and Strike Cruiser for January, you will received one white pearl each for the months of December and January and a third white pearl for reaching 1000 points. This is an incentive to those Lord Commander with the love of Strategic Warfare who wish to participate in this event. 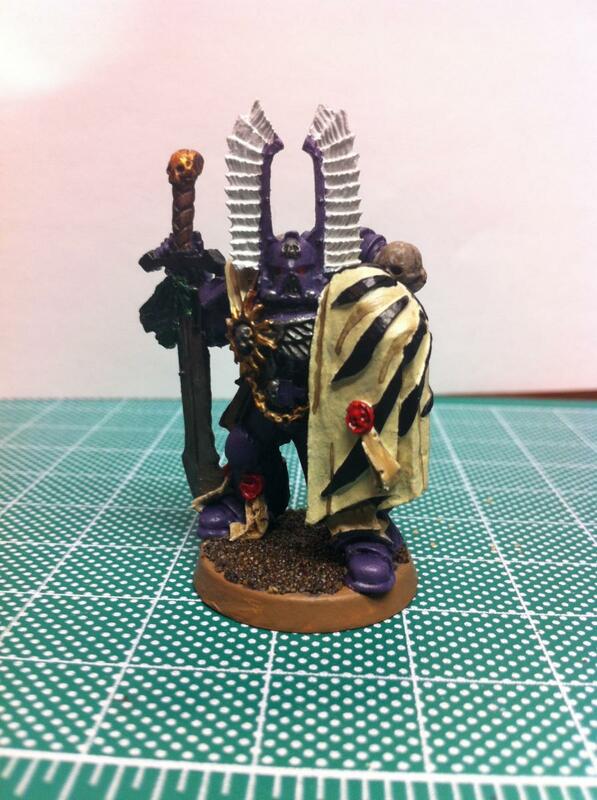 You may make an oath of any EPIC Armageddon legal Dark Angel units/assets as a normal oath. Award: If you complete a sum total of 1000 points worth of Strategic Units (EPIC Armageddon) during the duration of the event, then you will be eligible for an additional White Pearl. You can only earn a maximum of a single white pearl for this category regardless of the points size of the strategic assets. 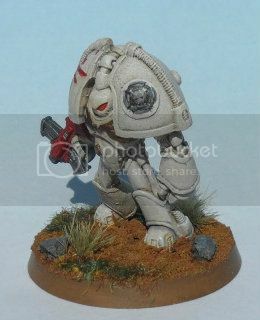 Example: If you pledge a command detachment for December up to 500 points with transports and attachments and a tactical detachment and a terminator detachment for January, you will received one white pearl each for the months of December and January and a third white pearl for reaching 1000 points. This is your chance to delve in to the realms of the 30th millennium and the Dark Angels Legion. 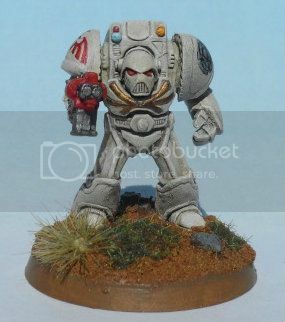 You may make an oath consisting of any legal unit in the Space Marine Legion Crusade Army List described in FW’s Betrayal Book. 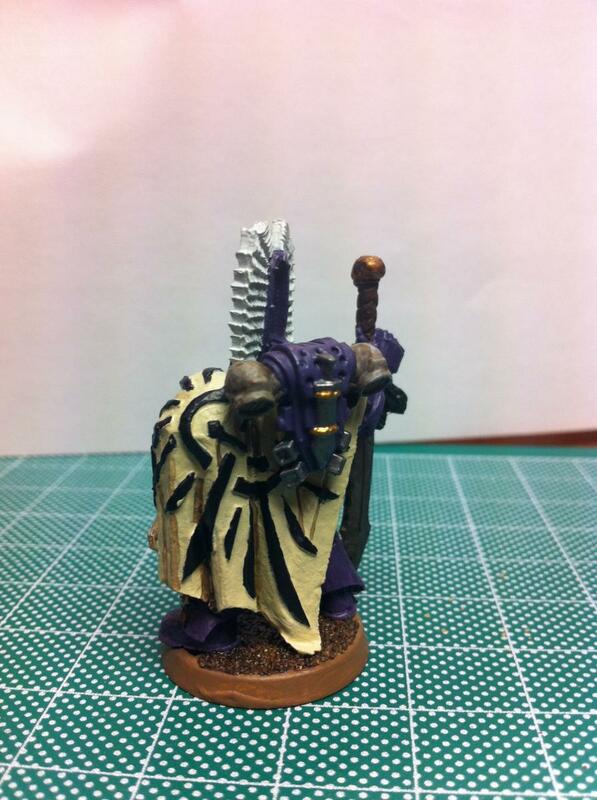 Models must be painted in legion colours and period equipment. Award: Recognizing the cost and accessibility of FW’s heresy Era models, this will reward the participant with an additional White Pearl for every full strength squad, squadron or single vehicle completed in legion colours and period wargear. This will be in addition to the white pearl received for the month for completing the same squad. A maximum of three additional white pearls may be earned in this manner all of which can be awarded in the same month or in different months depending on when the participant completed them. 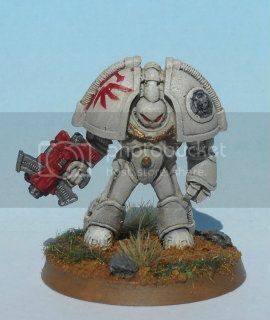 Example: If you complete a 10 man assault squad in December using FW miniatures and a 5 man Cataphract Terminator Squad also in December, both in legion colours and markings you will receive one white pearl for the December oath of two units but also receive two white pearls one for each HH era unit. If you do the same in January you will receive another white pearl for January but only one more white pearl for completing a HH era unit as you can only ever earn a maximum of three additional white pearls in this manner. This is an opportunity to develop and display your own unforgiven chapter. You must make an oath consisting of a single squad or character in your DIY chapter coours which will earn you a single white pearl. However if you submit a fully developed chapter history similar to the standards displayed in the Brotherhood of Angels thread to an acceptable standard (by the Inner Circle) then that effort will net you TWO EXTRA White Pearls to use as you wish! If you accomplish this you will in addition earn the right to wear the Chaptermaster banner. The simple expediency of making your oaths in the LPC2013 at the same time you make your oaths for the PtR will earn you an additional White Pearl. This is in particular important especially for any new recruits who have a few empty sockets to fill We have just two months in which to earn all your six White pearls. Deathwing Command Squad; Deathwing Knights Squad; Ravenwing Command Squadron Ravenwing Black Knights Squadron; Ravenwing landspeeder vengeance; Ravenwing Landspeeder Dark Shroud; Ravenwing dark talon; Ravenwing Nephilim Jet Fighter. You will receive one White pearl for making the oath and one additional white pearl for each of the above units you complete. By now the majority of you have received quite a few White Pearls with some even gaining the coveted number of six already. As there are now many ways to receive more than one white pearl and in order to simplify matters, listed below are six banners depicting the total numbers of white pearls received. wear them with pride as appropriate to your achievement. These will only be awarded at the culmination of the Path to Redemption at the end of February 2013. At this time the Black pearl banners will be awarded. In addition there will be recognition of certain achievements all of which will be depicted by banners and awards. Edited by The Shadow Guard, 10 June 2013 - 03:34 PM. Congratulations to the 48 battle brothers whose stocism earned them the right to wear the Black Pearl. Edited by The Shadow Guard, 03 April 2013 - 03:37 PM. Up to date as of the 1st of October 2012. Anyone who has completed their oath/vow made in September may display the following banner or medallion. The single white pearl denotes the completion of your vow for September. If you have completed one vow and have made a second oath you are still entitled to wear this banner/medallion but if you fail to keep any of the subsequent vows by the end of the month you must give it up. The names of the honoured oath makers are linked to their original post with their vows in this thread. I ask that all oath makers add their pre and post images in the same post by using the edit button rather than posting anew. 11th Company Dark Master: Angels of Shadow 1 Dark Master Kronos Nightshade of the 3rd Company wielding a power sword, combi-plasma gun (125 pts), 1 Librarian Xaphan with a plasma pistol (115 Pts) and 1 Tactical Squad Azael numbering 10 Astartes, including Sergeant Azael with a plasma pistol, one battle brother with a plasma gun and one with a plasma cannon (210 pts). Alys Dwr: One 5 man deathwing terminator squad with assault cannon and chain fist from codex DA. 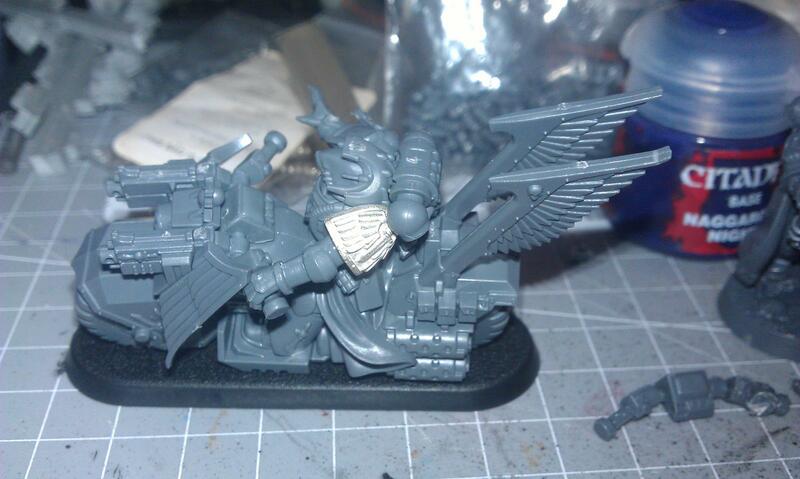 Aquilanus: 2x Raven Wing Bikes plus 1x Sergeant (135pts) of the Angels of Salvation. 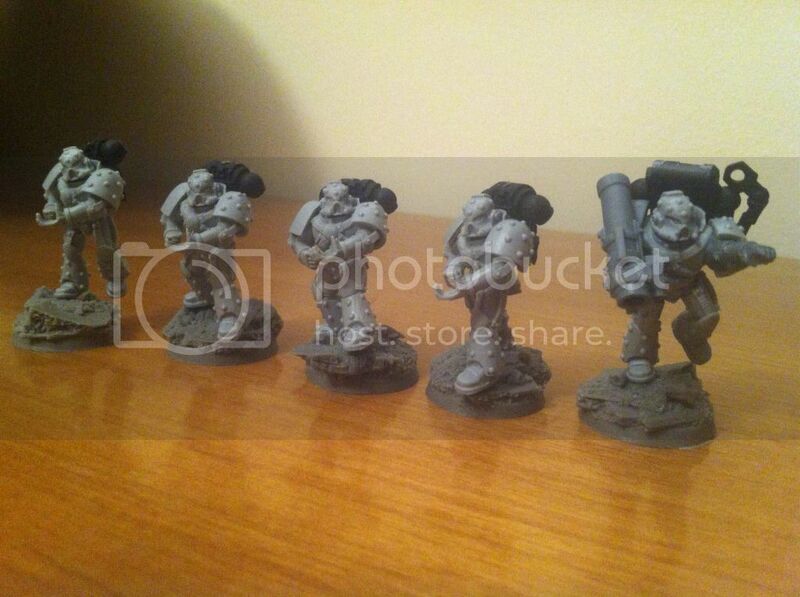 Artemid: one squad of Deathwing Terminators with Cyclone Launcher (235 pts). 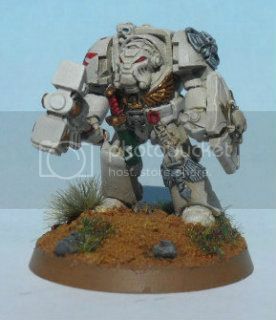 Azeikel: 1 Company Master Belail (PS/SB), and his Deathwing Command Squad of 5 Terminators (1 PW/SW, 1 SB/PF w/ standard, 1 Apocathery w/ SB/PF, 1 SB/PF w/ CML & 1 SB/PF). 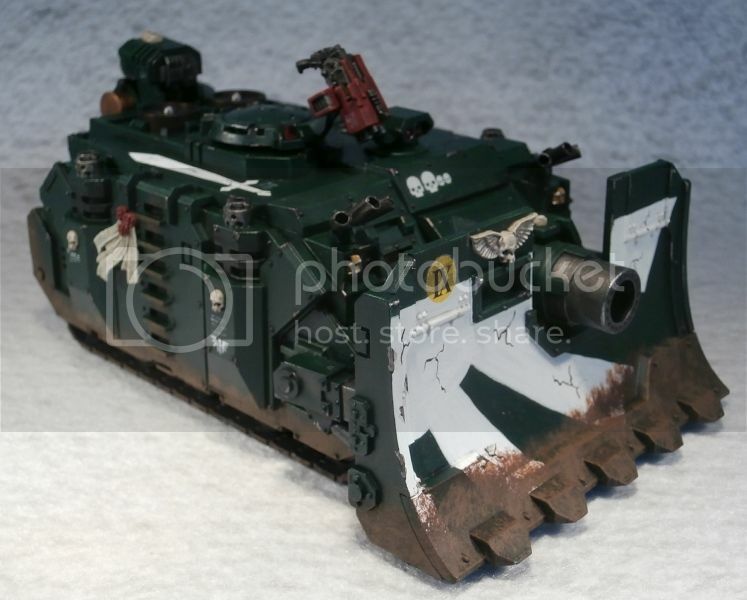 Brother_Bethor: Land Raider (250 pts). 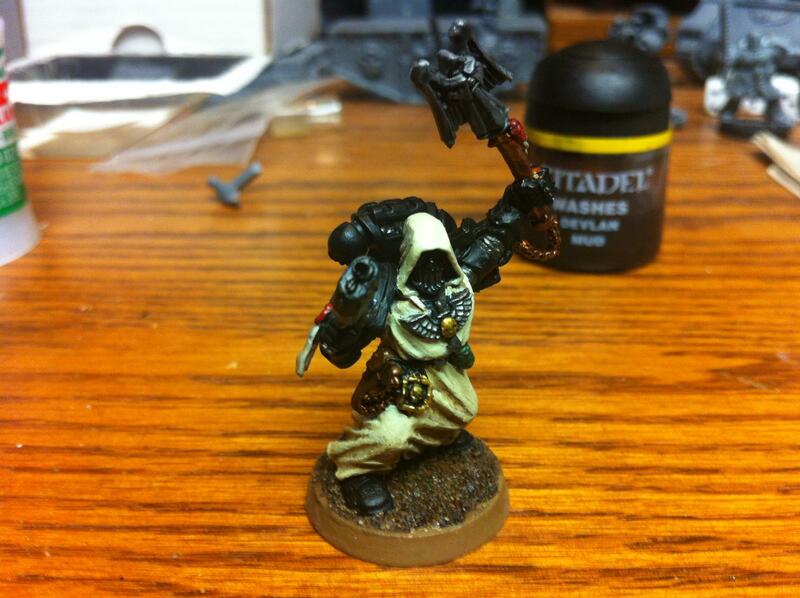 Brother Chaplain Kage: One five-strong tactical marine squad of the Angels of Vengeance. Brother Dean: Something from the DV box probably the tac squad. Brother Hostower: One Storm Eagle in the month of September weighing in at 290 points. Brother Kovash 2nd Vow: One Company Master with power sword. Brother Moridius: Complete 1 Venerable Dreadnaught wielding a plasma cannon (145 pt). Brother-Sergeant Bohemond 2nd Vow: 1 Company-Master Balthazar (125 pts), 1 Librarian Turmiel (100 pts) and 1 Interrogator-Chaplain Serapichus (135 pts). 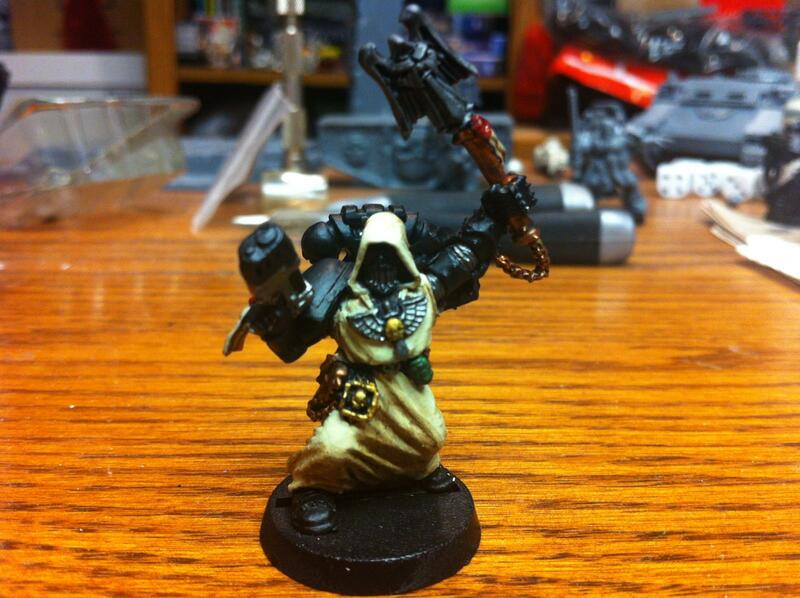 Brother Tancred: One Dark Angels Librarian. Cactus 2nd Vow: A Dark Angels librarian in terminator armour (145pts). 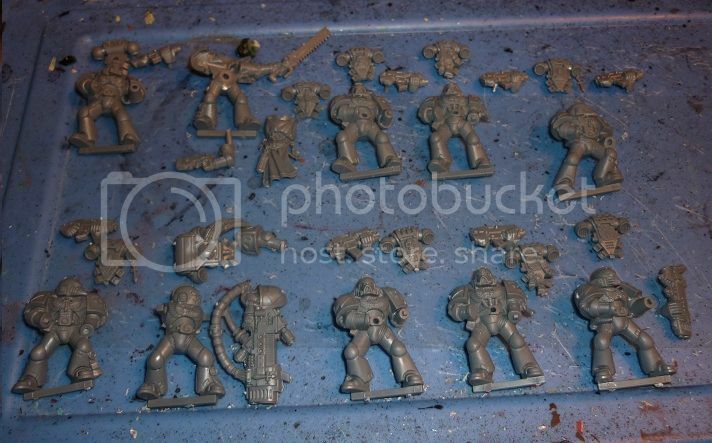 Caietan: To clean up and paint a combat squad of Tactical Marines (90 points) from the Dark Vengeance. Captain Semper: Expand five man tactical squad to ten men. CarbonBased: Complete Belial's command squad, Terminator Chaplain, and Terminator Librarian and 2nd THSS squad (655 pts). 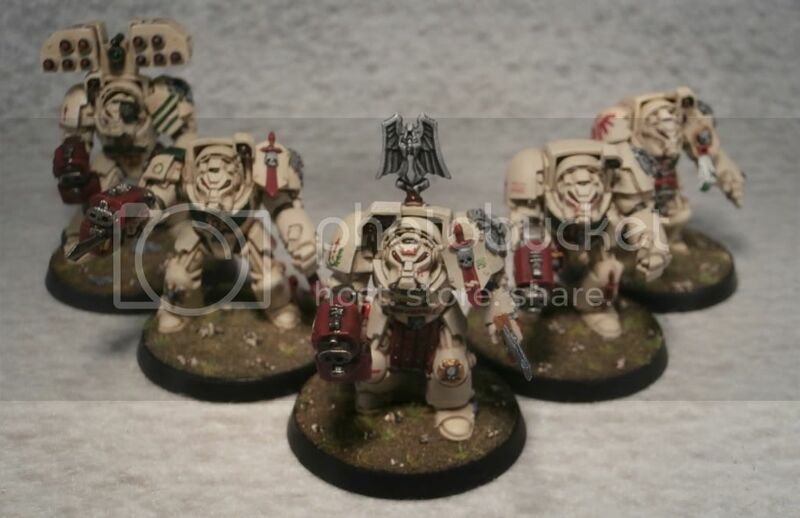 ChaplainRobb: A five man Deathwing Squad with an assault cannon and the Lion only knows what squad weapons (likely a mix of THs, LCs, and SB/PFs). 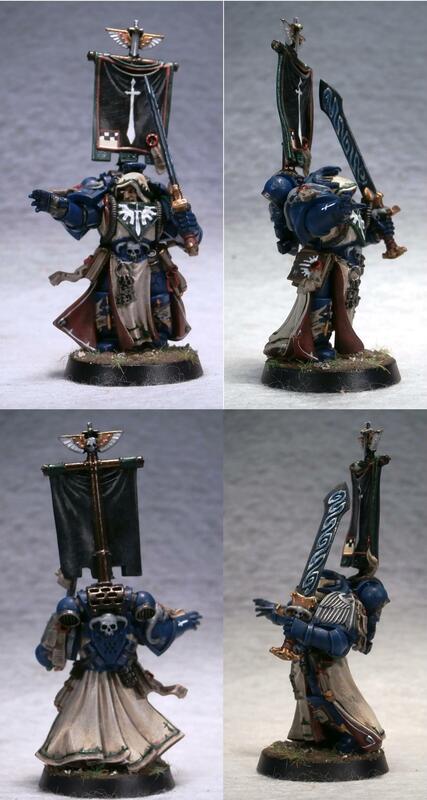 cielaq: One Ravenwing command squadron, consisting of sergeant with power fist, standard bearer and apothecary. con-fusion: Complete a close combat dreadnought. Cypher 102: Replace the bases of a terminator squad with a set of Scibor Ruins bases. cypherthefallenangel: 5 gunslinger veteran legionnaires at 175pts. 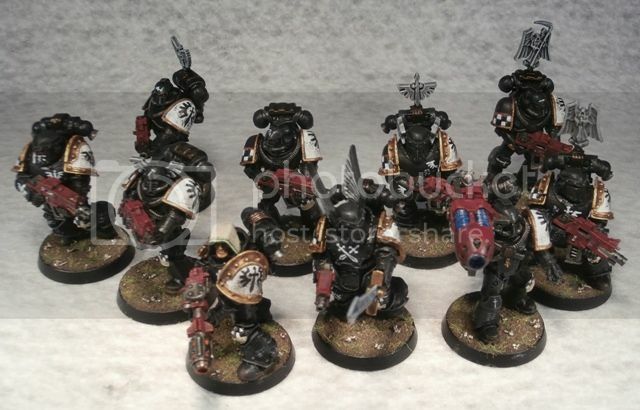 Darkangeldentist: Dark Vengeance Deathwing terminators, librarian, company master and interrogator chaplain (630pts). 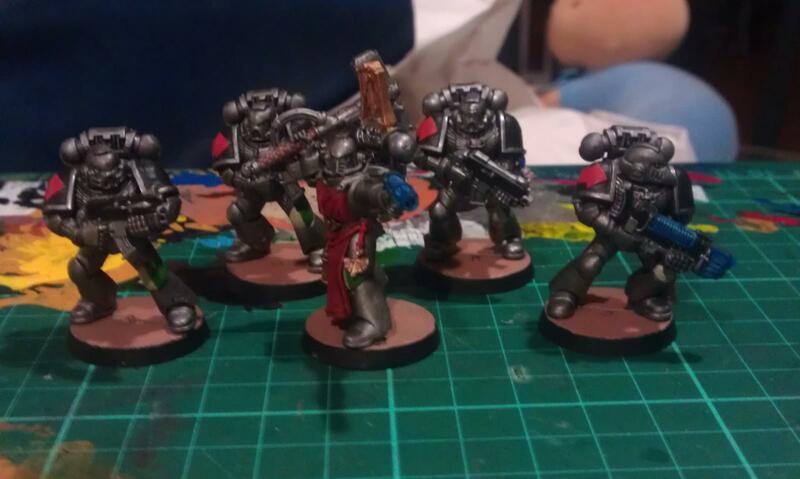 darnarth lysander: Five tactical marines. 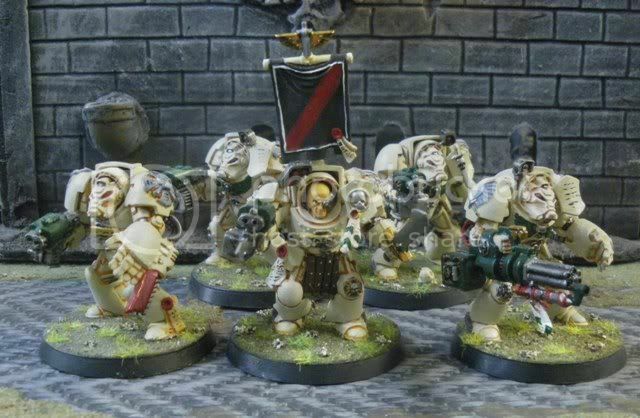 Dogbreath99: One Dark Angel 10-man tactical squad with dual pistol wielding sergeant, plasma gun and plasma cannon equipped marines. Eremiel: Company Master Belial, and a unit of five upgraded terminators. 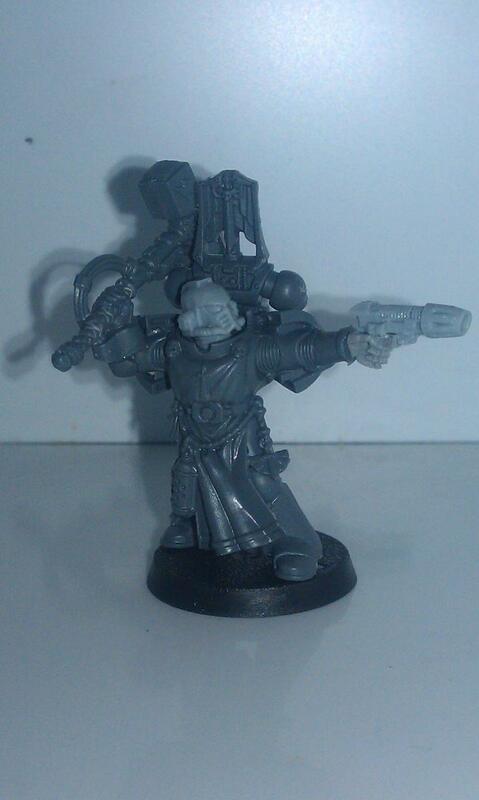 farfromsam: An interrogator chaplain with plasma pistol. 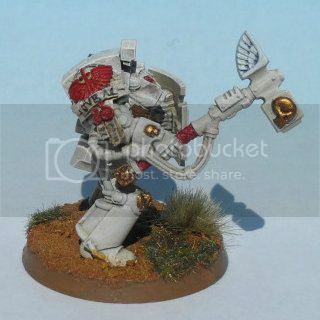 fearlessgod: I, fearlessgod, tread on the Path to Redemption and vow to build and paint 1 Deathwing Dreadnought with plasma cannon by September 30 2012." Flint&Steel: 1st squad of Guardians of the Covenant. 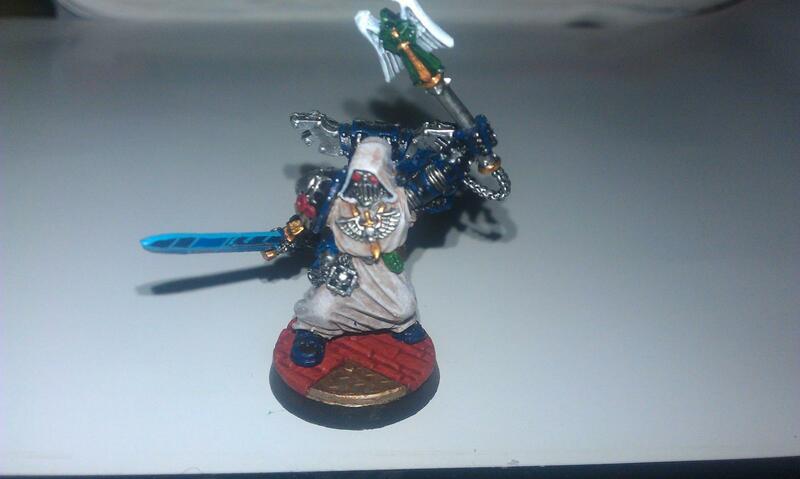 Foxphoenix135: Fully paint (basing optional) this Librarian, armed with a Force Sword and the power of the Warp (120 Pts). 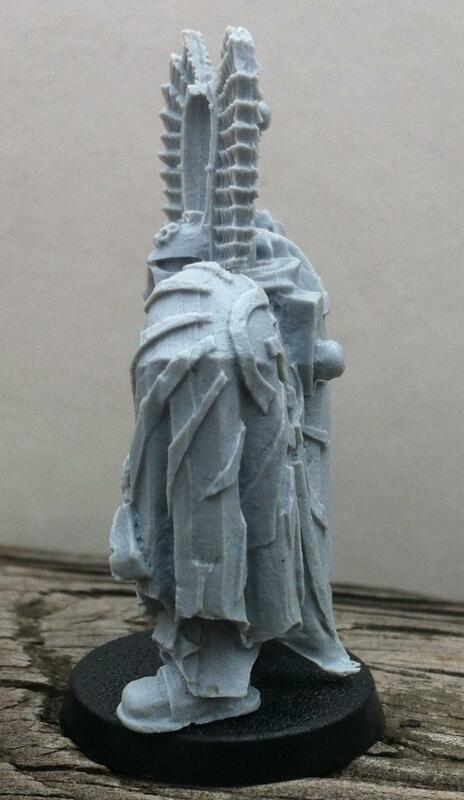 furioso-prime: Company Master Zaccheus, for a points total of 110pts. 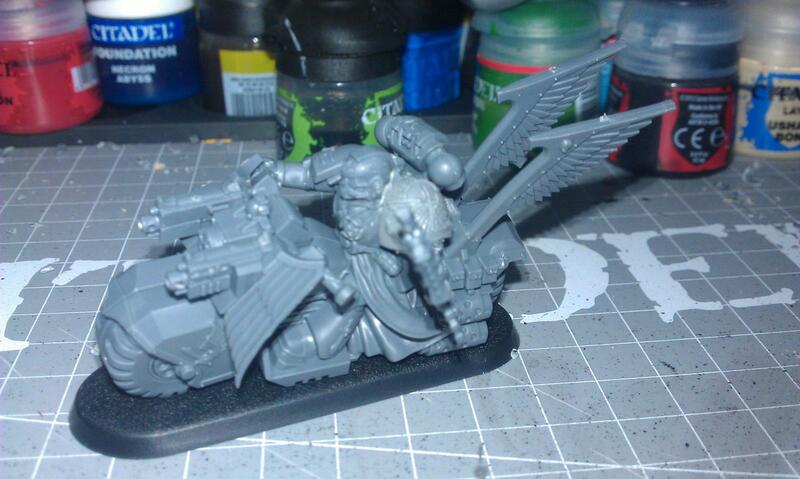 furioso-prime 2nd vow: Malachi, the Death Angel, the saviour of Vraks, the scourge of Cypher (160 points). 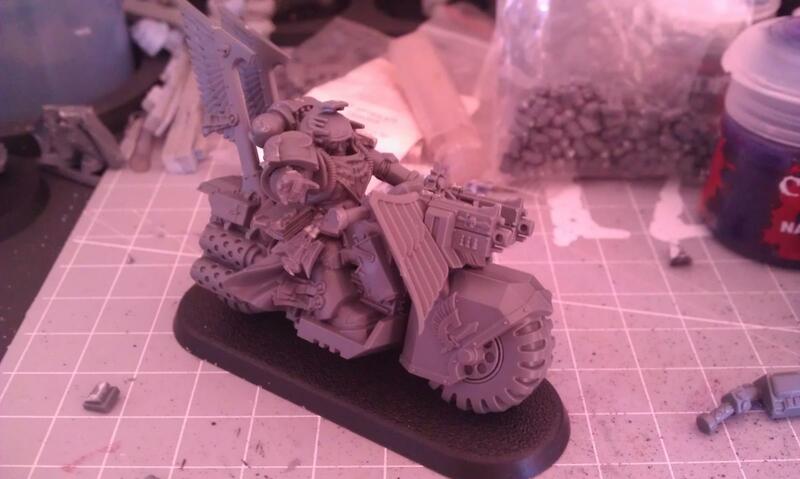 gilljoy: 5 Deathwing Terminators, 3 Ravenwing Bikers. Grand Master Belial: 3 Guardians of the Covenant, 1 Saint of the Angel 1 Shadow Guard and 2 Angels of the Lion need final completion. 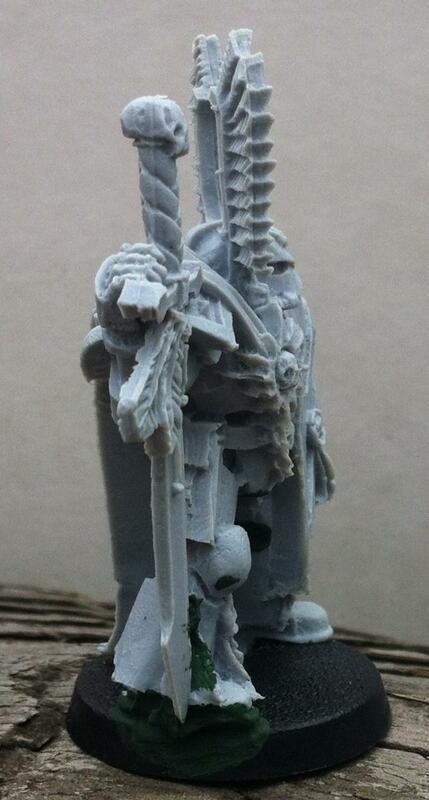 Grand Master Springemann: DA side of the DV set including the limit edition chaplain. hermanista: one demi-tactical squad and a captain from the Dark Vengeance set. 6 models in 7 hours and 40 mins. 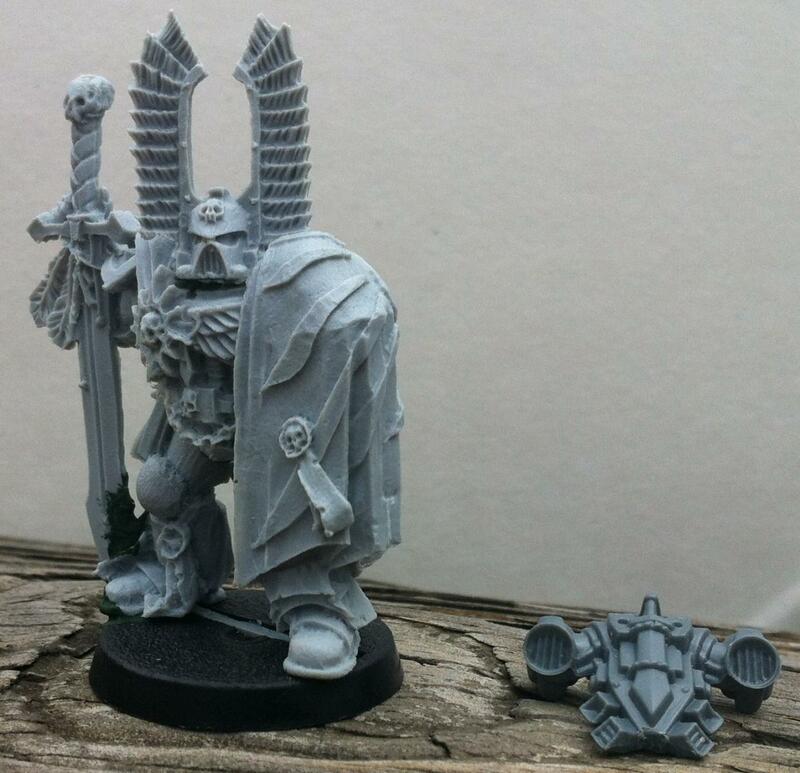 IndigoJack: Complete one Caestus Assault Ram (275 pts). 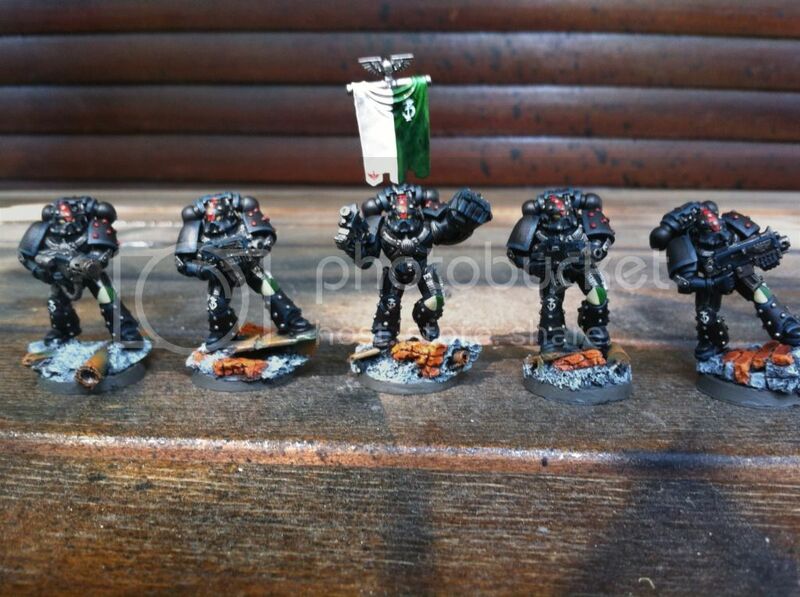 khalaek: One combat squad of five Dark Angels Tactical Marines. 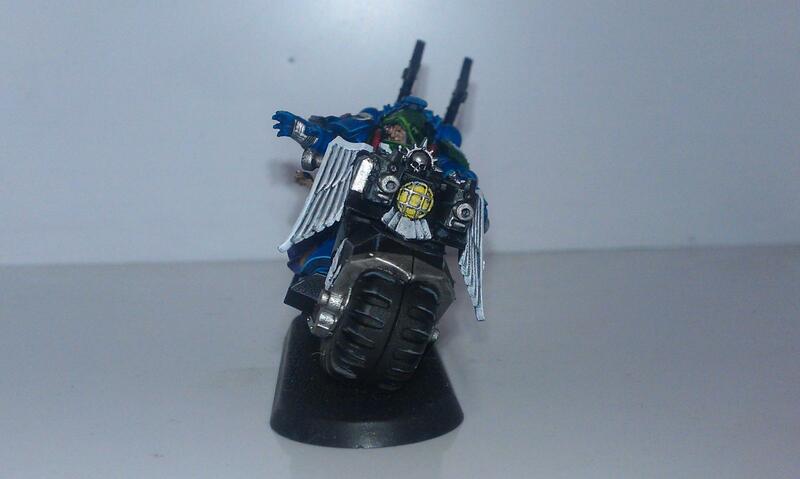 Kyr Gkikas: Complete one Ravenwing Bike Squad of 2 Astartes and a Sergeant strong and armed with a plasma gun. lhg033: A 5 man tactical squad including sergeant and special weapon. Loken86: The Limited ed chaplin from the DV box set for my angels of vengenace. Lone Scout: 3 AoA bikers. 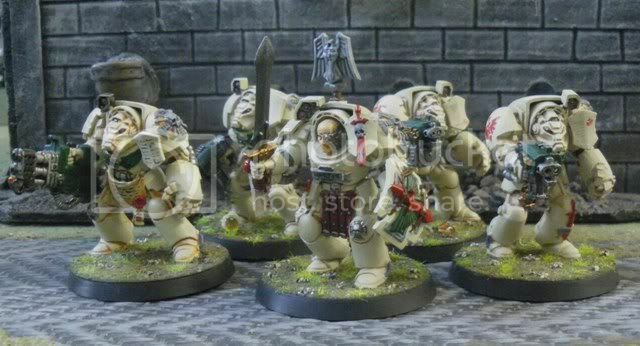 march10k: Complete a well-begun seventh squad of the fifth company of the Dark Angels chapter of the First Legion, six members armed with bolter and chainsword having already been completed. Master Ciaphas: One Supreme Grand Master Azrael, Keeper of the Truth. Master Gabriel Macleod: Complete a 10 man tactical squad. Master Matthius: The Tactical Squad from the DV box set. 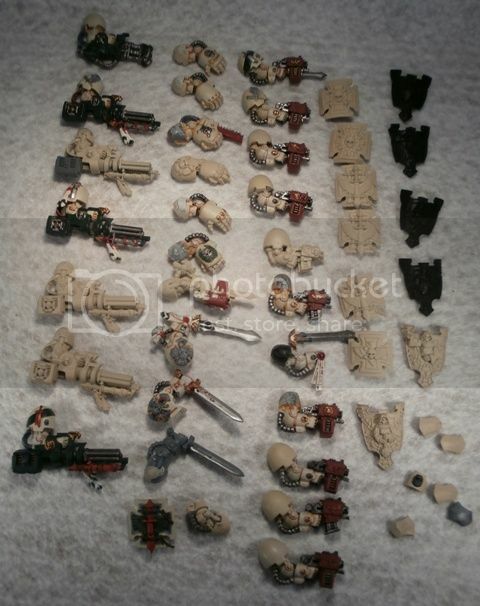 This will include full 10 man squad with Plasma Cannon, Plasma Gun and Sergeant with Plasma Pistol. These will also be placed on decorative bases as I progress. Also I will be converting the Sergeant to having a helm as I agree with others about the ease of command with the helmet (210 pts). 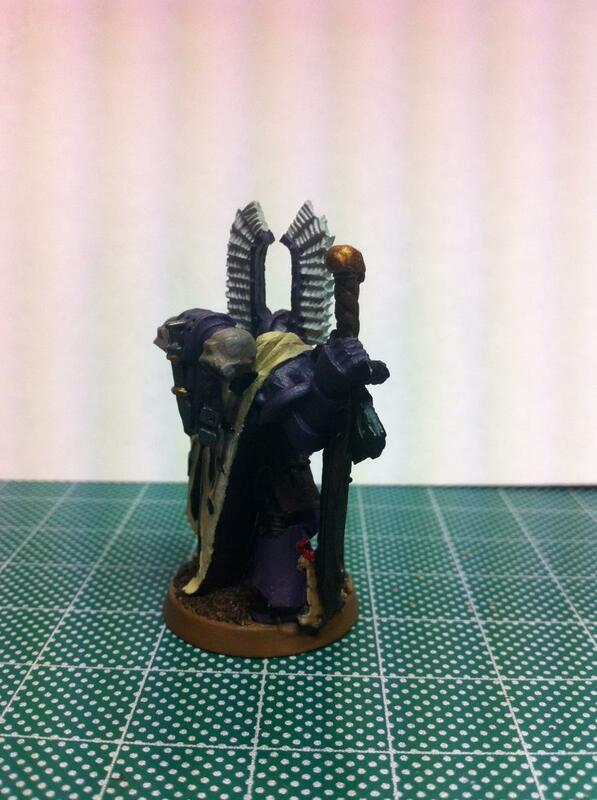 OliverRaffle: Sammael, Master of the Ravenwing (205 points). Payce: A tactical squad with a Plasma Cannon, a Plasmagun, and a Veteran Sergeant with a power sword for a total of 210 points. PhDGamer: Librarian Turmiel from Dark Vengeance. Raven of the Wing: 5 brethern of the deathwing (215 pts). 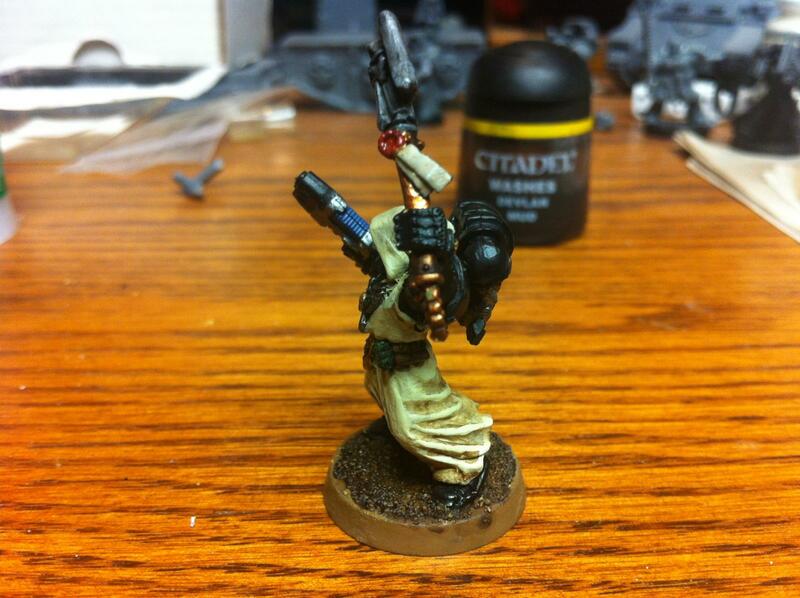 Reyner: One Dark Angels Librarian from the DV kit. 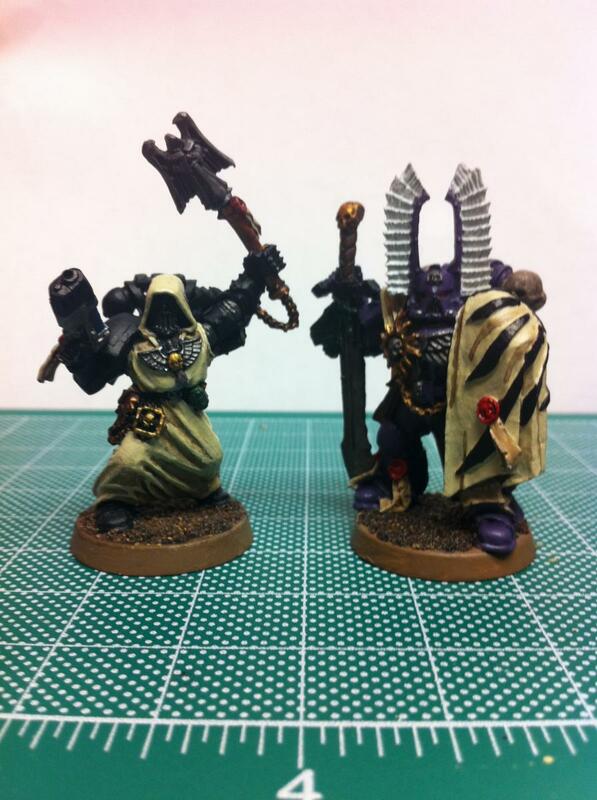 Sir Tancrede: Complete the painting of 2 of my old V2/V3 Deathwing squads, the dreadnought and Master Belial of the Deathwing. skink: One of either an Assault Squad and two Dark Vengeance Tactical Squads. SnaRf.za: I vow I will finish the painting of a Land Raider. (250 pts). 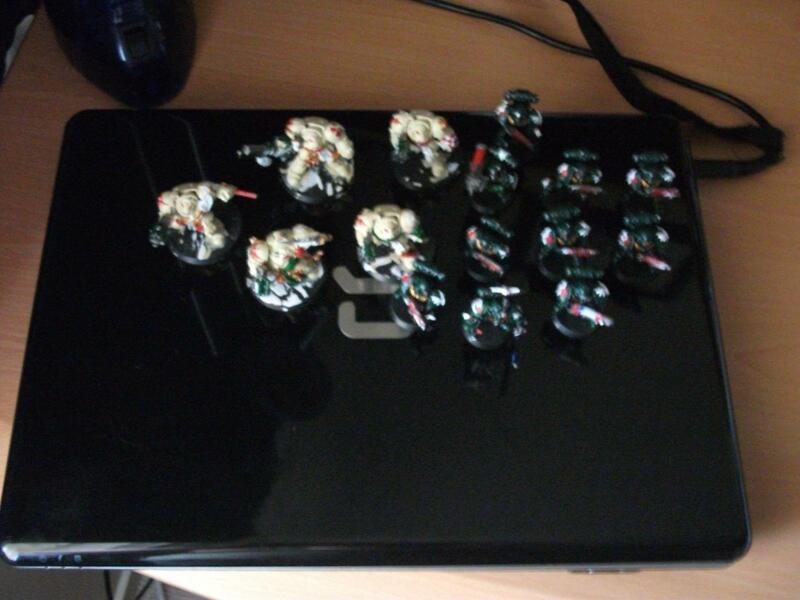 SPWolf12: Veteran Sergeant Raphael and his Tactical Squad from the DV box. Sviar: Three bikers in the DV box. 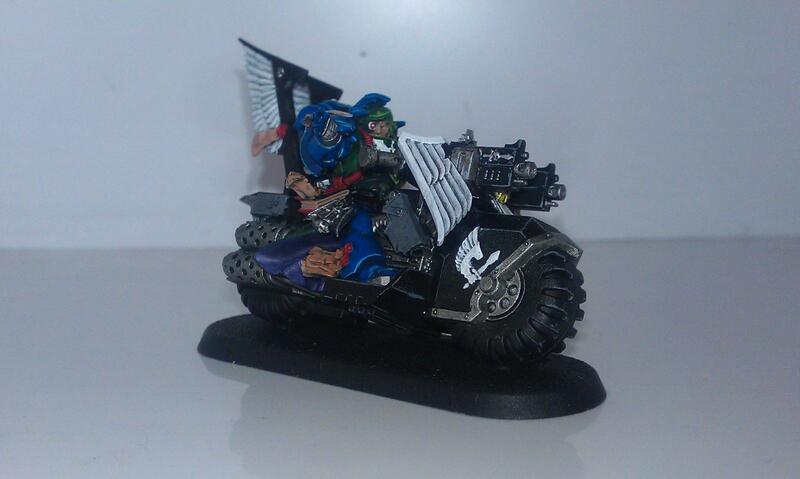 TaranRinn: One Ravenwing Land Speeder. undeadfilth: The Dark Angels half of the Dark Vengence box along with 2 3 man ravenwing squads with 2 plasma guns and a plasma pistol, and my converted Samael, Master of the Ravenwing. 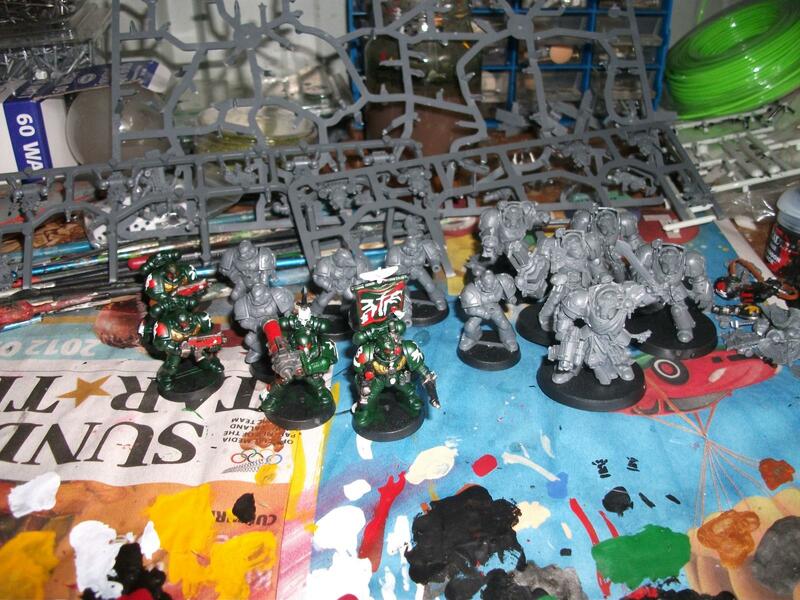 uptheiron: The 5 man Termi squad, 10 man tactical squad and 3 bikers from the DV box. 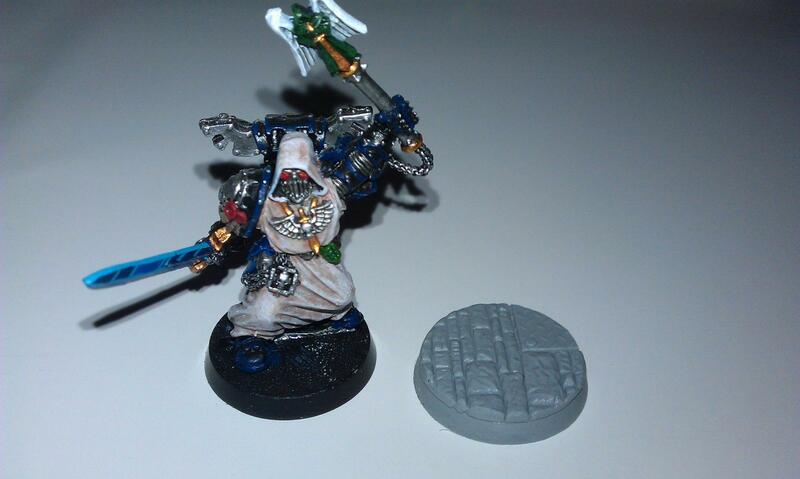 Wraithwing: Fully paint the Company Master, armed with Power Sword and Plasma Pistol (130 pts). Edited by The Shadow Guard, 04 December 2012 - 01:24 AM. 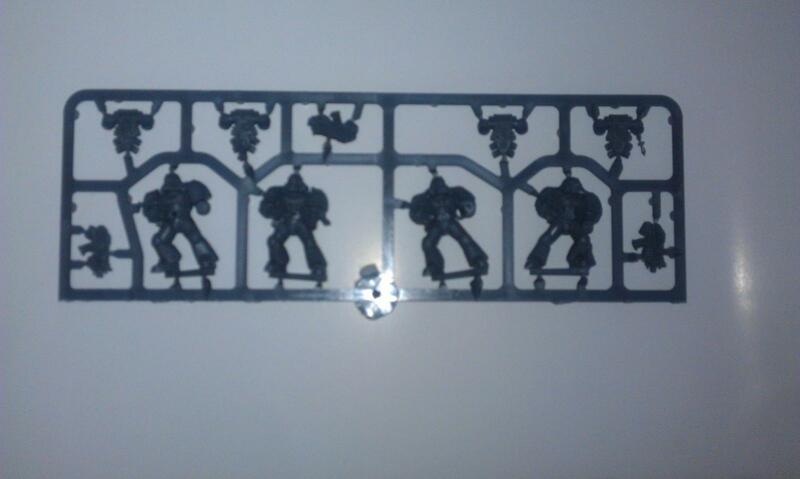 I Elmo vow to complete 1 Vindicator with Siege Shield, extra armour and pintle mounted Storm Bolter (150 pts.) in the month of September 2012 as redemption for not vowing as much as I had hoped for in the ETL. 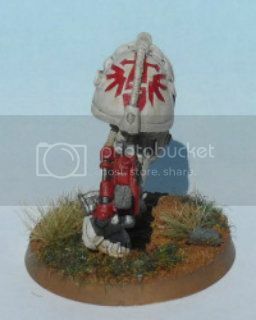 I Elmo vow to complete 1 Vindicator with Siege Shield, extra armour and pintle mounted Storm Bolter (150 pts.) in the month of October 2012. The last of the Line Breaker Squadron. 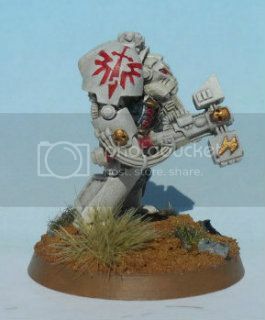 I Elmo vow to complete a 10 model tactical Squad of Knights of Caliban with Melta and Plasma Cannon (220 pts.) in the month of November 2012. 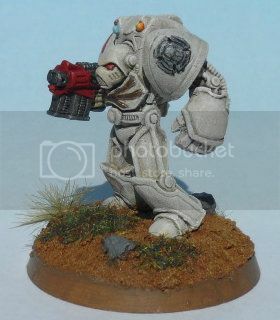 I Elmo vow to complete 20 Terminator models (4 Squads)in the month of December 2012. Here are a few photos of some of the arms along with extra HW choices which will be magnetised plus the original paint scheme on the Termies. I Elmo vow to complete 1 Librarian model in the month of January 2013. Edited by Elmo9141, 11 January 2013 - 06:32 PM. I, Pistorius, wish to rectify my non-participation with a vow to paint one 10-man tactical squad for my Griffin Lords successors during the month of September. These models have recently been stripped of paint, and some need re-assembly. Edited by Pistorius, 02 September 2012 - 12:32 AM. @ The Shadow Guard: Are vow additions mid-month acceptable? "I, Grotsmasha, tread the path of Redemption with a vow to paint 1 x Ravenwing Librarian worth 150pts by September 30, 2012." 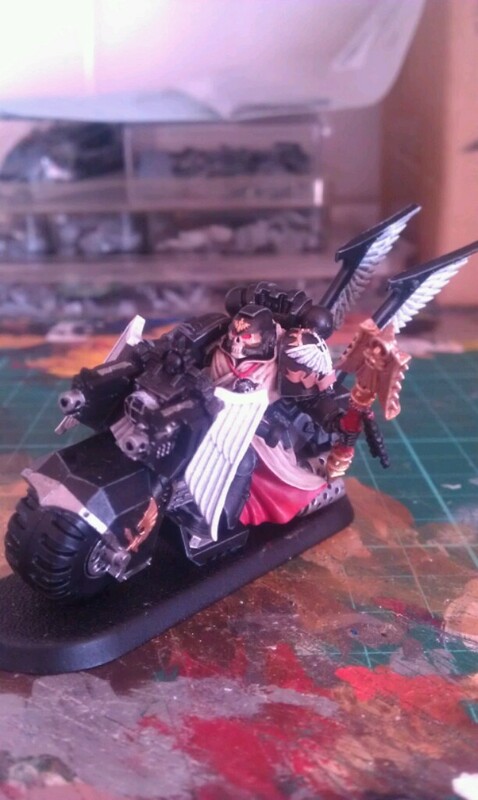 "I, Grotsmasha, tread the path of Redemption with a vow to paint 1 x Ravenwing Chaplain worth 150pts by October 31, 2012." 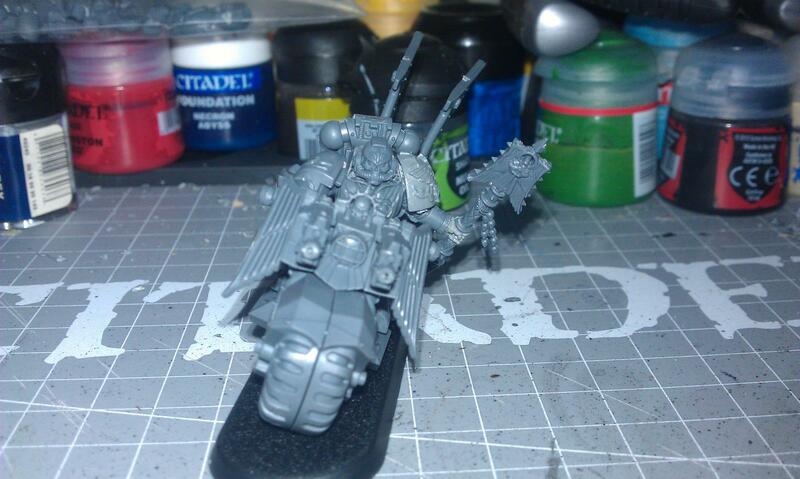 DV Ravenwing Interogator Chaplain Complete!! "I, Grotsmasha, vow to paint 1x Scenic base for Interrogator Chaplain (Asmodai) by the 30th Nov, 2012 for the honour of the Sons of the Lion". "I, Grotsmasha, tread the path of Redemption with a vow to paint 5 x Company Veterans (they're Co Vets because of the Sgts loadout) worth 160pts by December 31, 2012." 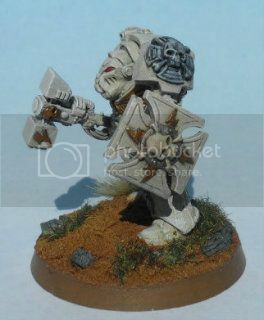 "I, Grotsmasha, tread the path of Redemption with a vow to paint 1x Legion Command Squad by January 31, 2012." Edited by Grotsmasha, 18 February 2013 - 09:54 PM. 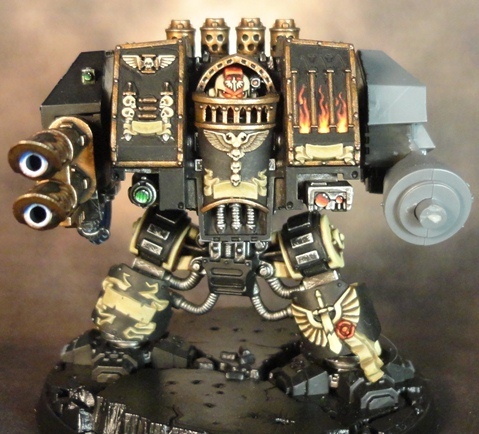 I, Haranin, vow to complete in September a Mortis AC Dreadnought. Absolutely.. I've made that clarification in the rules. 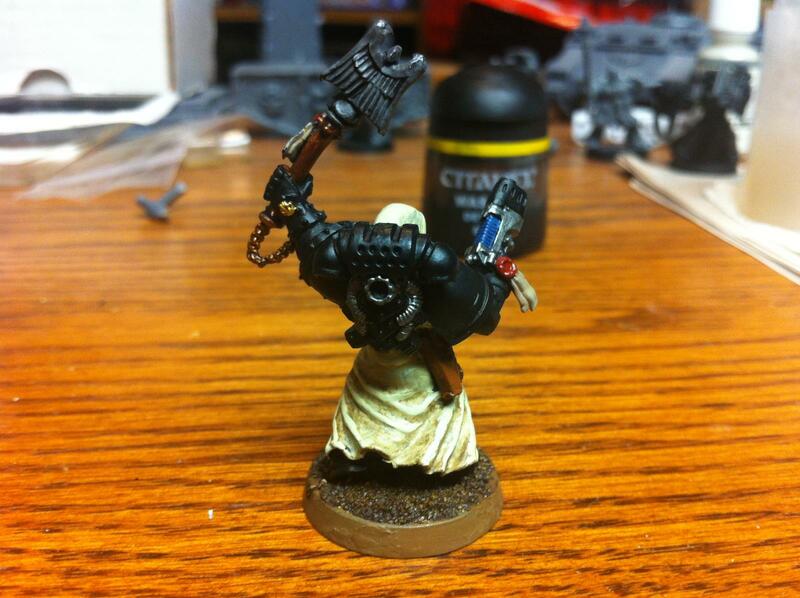 I, Brother Kovash, vow to complete one Interrogator-Chaplain equipped with plasma pistol. This equals 135 points. I, Brother Kovash, vow to complete one Company Master equipped with power sword. This equals 115 points. Updated original points cost to 135, I finally got my codex back. I was able to take a few pics with the sun outside before priming. After I primed the Master white, the clouds came in and took away the sky. September is complete, bring on the next challenge! Edited by Brother Kovash, 30 September 2012 - 06:09 PM. "It is better to die for the Emperor than to live for yourself." 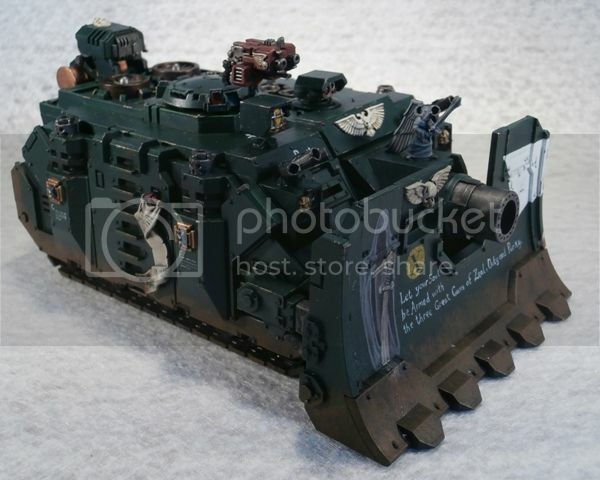 TSG, can I vow parts of a Thunderhawk, such as this month I plan on completing all the heavy bolters, missiles and undercarriage for it, next month I would do something like the turbolaser and canopy etc.? Edited by Stobz, 02 September 2012 - 12:29 AM. There's always someone who pushes the boundaries! I don't think I can alow a part of a kit to be vowed... as one of the rules states that you must vow a code/FW/BFG/EPIC legal unit... What I wouldd o if I were you would be to vow something else and continue with the Thunderhawk ...and vow that as a half or three quarters complete model to be finished in a later months. Sweet as Brother, I will indeed spend one week on the TH and the remaining three on a 'complete' unit per month. SEPTEMBER OATH: I vow to complete the repaint/rebuild of my RW Interrogator on a new DV bike with Plasma pistol and melta bombs before the end of September, points 170. Failure is not an option- Done. Edited by Stobz, 02 September 2012 - 01:09 AM. I, Brother-Sergeant Bohemond of the Dark Angels Chapter vow to complete one Tactical Squad, currently numbering 4 Brothers. I will expand this to 10 Brothers, in addition I also pledge to paint 1 Terminator Squad. Edited by Brother-Sergeant Bohemond, 19 September 2012 - 04:54 AM. You out!!! ..er... You're in...couldn't help the cricket talk! 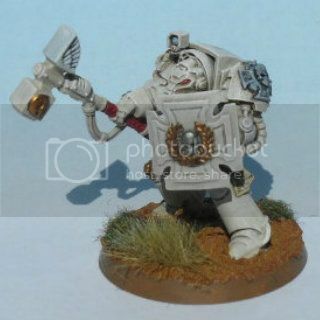 I, the Great and Powerful Sarducci, He Who Makes Mere Mortals Tremble, Lord of the Northern Marches, Warden of the Cinque Ports, and all around humble dude, do hereby vow for the month of September to paint a (Successor) Deathwing Squad of 250 points including a chainfist and assault cannon from the Dark Vengeance set. Please note. I am a computer idiot, and can't get pictures onto posts. Here are links. These are my successor chapter, the Purple Dragoons. This is my goal. Here is my starting point. 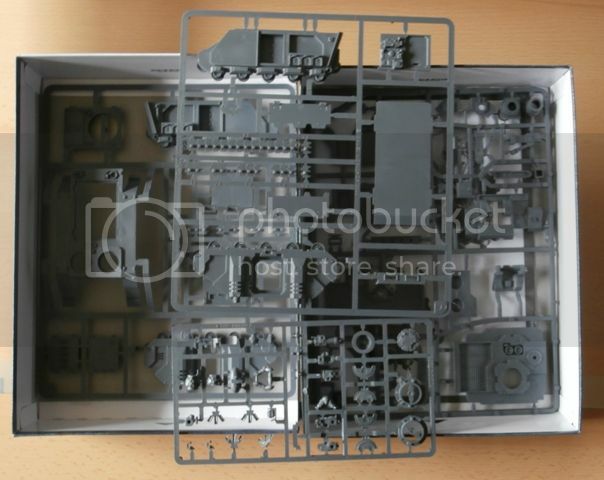 I have found it is easier for me to paint individual parts and then assemble them. Finished the smaller pieces a few days ago. Finished the main Terminator bodies. Still need to seal and assemble. The bases. Nothing special. Should be done in a day or two. Edited by Sarducci, 14 September 2012 - 12:57 PM. 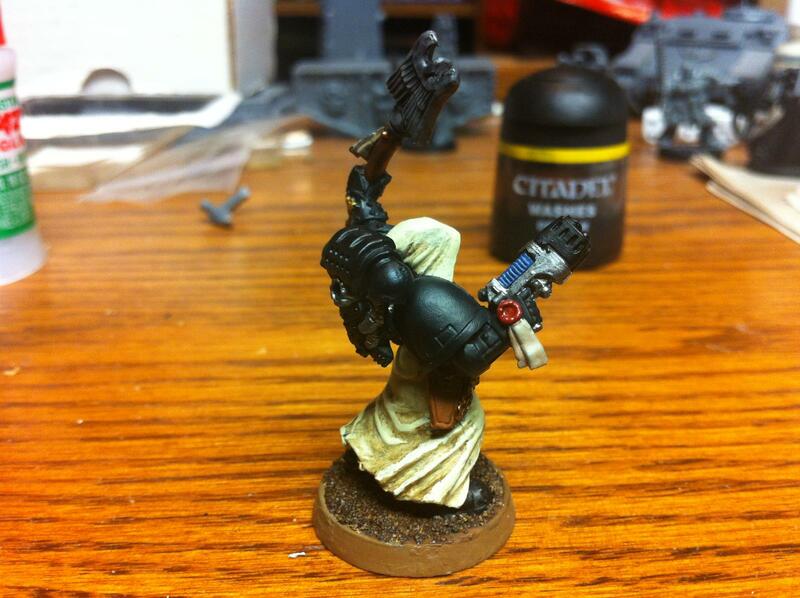 September oath: I vow to complete my bike mounted Interrogator-Chaplain with power fist totaling 175 points. 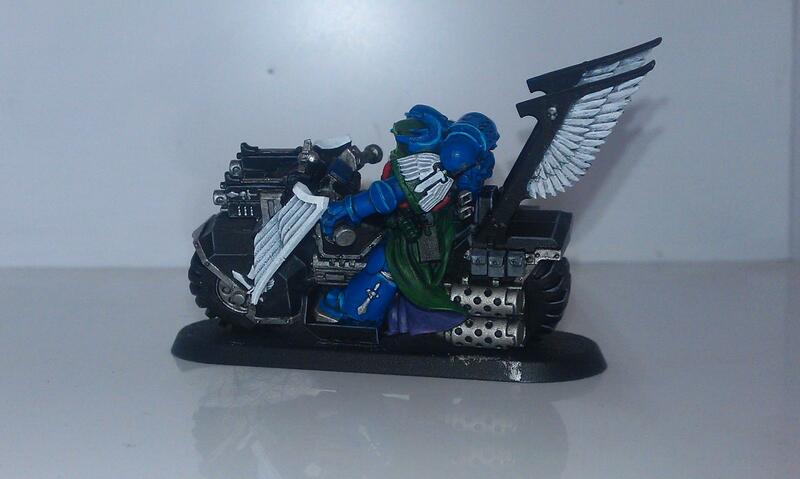 The bike is half painted, the Chaplain is primed. I, the 11th Company Dark Master, hereby vow to have the following members of the Angels of Shadow painted before the final hour of the final day of September. Images have been uploaded to my painting log in the Works in Progress subforum. A link to the thread is available in my signature below. Edited by 11th Company Dark Master, 02 September 2012 - 04:44 AM. 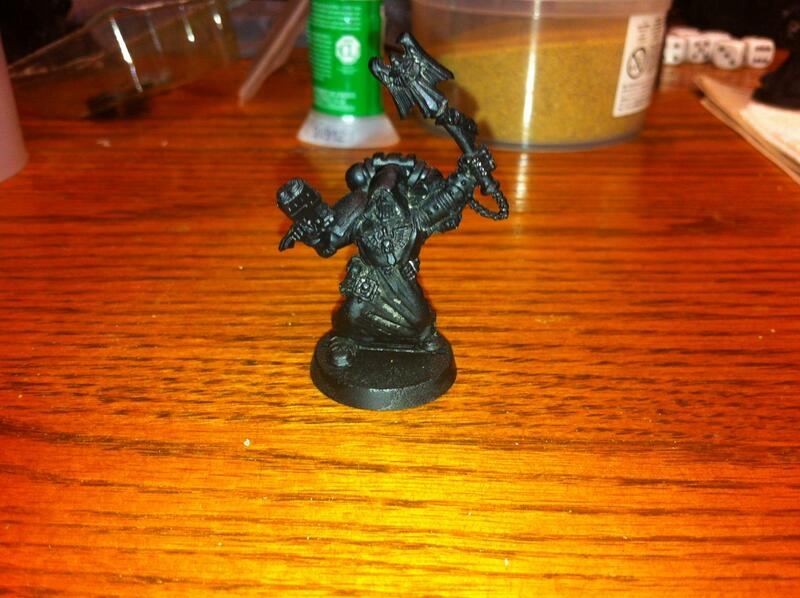 Formerly the 11th Company Dark Master. All my friends just call me Cappy. 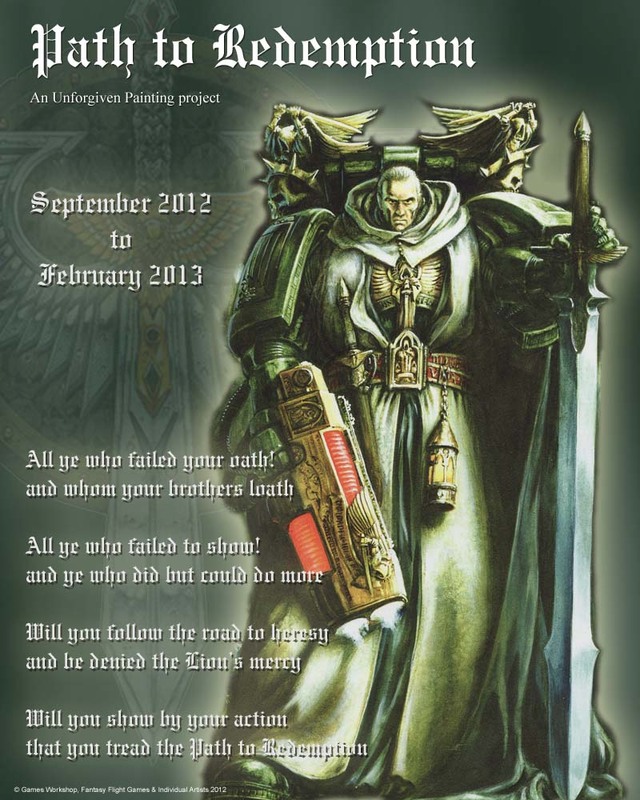 I Captain Sox pledge my allegiance to the Lion, and to the Dark Angels. The road to redemption shall be long, but oh so sweet. I shall complete this vow by the 30th of September, 2012 or shall forever be known as an Oath Breaker, etc. Edited by captain sox, 28 September 2012 - 04:00 PM. There's got to be a way. Preheresy? 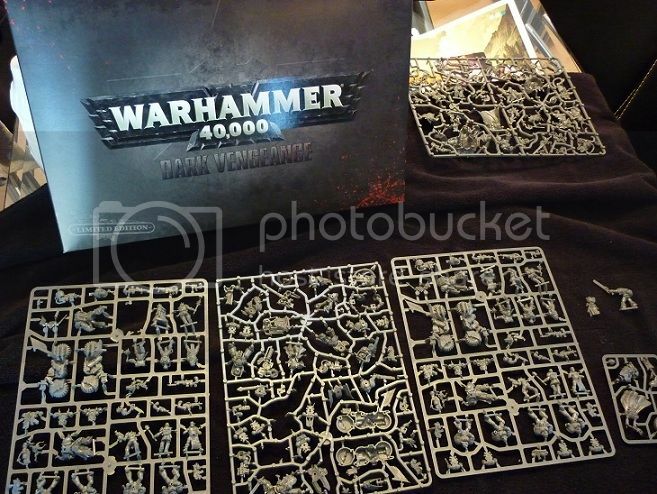 If I had enough older bits to lay my hands on or Forgeworld models maybe. But I don't and trying to get some now and delivered quickly wastes too much time this month. I'm still waiting for my Dark Vengeance boxes in the mail. Think man! 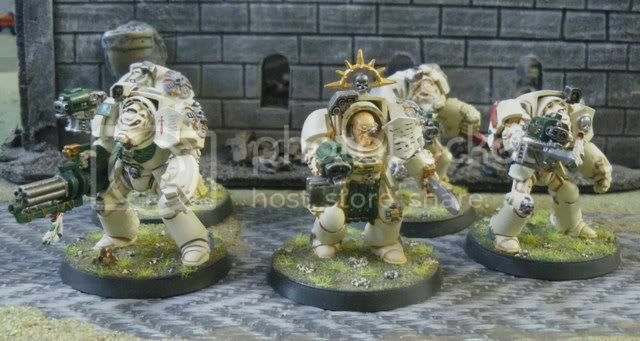 Consecrators? Why couldn't they have a winged sword symbol for a chapter icon? Rrrrgh! 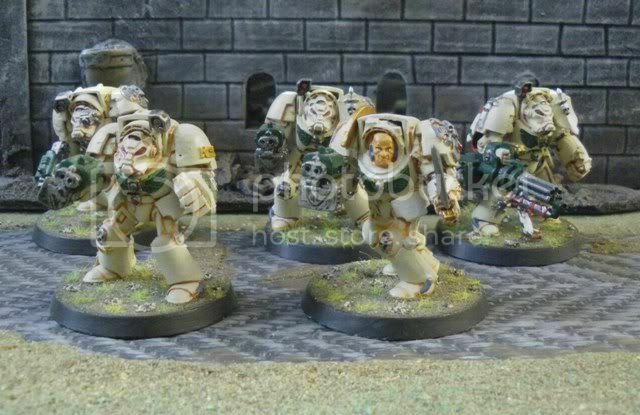 Oh, but before Shadow Guard thinks he has THIS Fallen painting bone coloured models... oh yes, I remember. 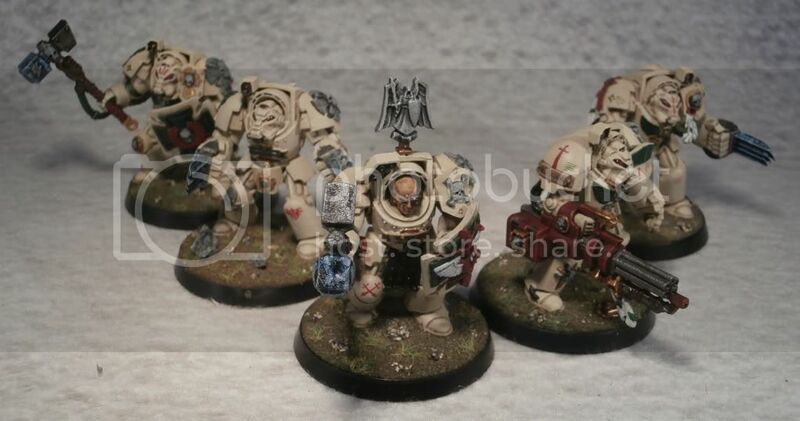 There was a time before the Deathwing christened their armour in white. 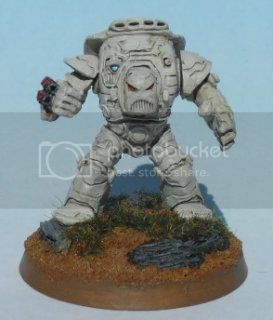 Before the tale of Cloud Runner, Lame Bear, and the other honored Terminators who fought with them against their homeworld's infestation of Genestealers. They wore BLACK! 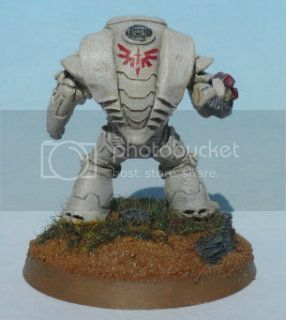 I, Archangel, vow to build a pre-Deathwing Dark Angel Terminator Squad of 250 points from scratch. I have stumbled upon my path to redemption. I'd say "fallen", but the irony for me just isn't funny right now. My laptop has died completely, it's machine spirit has fled. My models sit half-done, and I have no way to post their picture when completed. I'm posting this from my work and cannot upload files from here. I will be back online as soon as I am able, so keep those Blades of Reason sharp. Good journey to you all! Edited by Archangel, 23 September 2012 - 12:38 PM. 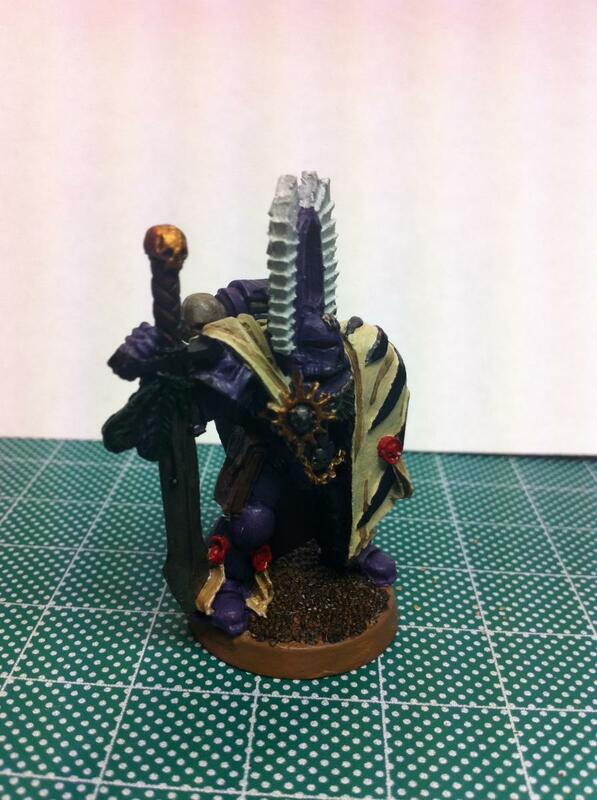 I, Bryan, will complete my Venerable Dread, Gathrael, in the month of September (170 points). Edited by Bryan Blaire, 04 September 2012 - 03:58 PM. After vowing to complete a tactical squad and its rhino as an out-of-competition entry and only completed half, I'll do the other half for September and the Rhino in October! Fallen are fine Archangel - relax! The thing is the entry should be a legal choice from the DA codex. Organise your entries accordingly and the color of the minis is your call! The aim is to paint whatever you want based on the DA codex. The story behind your force, its name and its paint scheme is up to you! 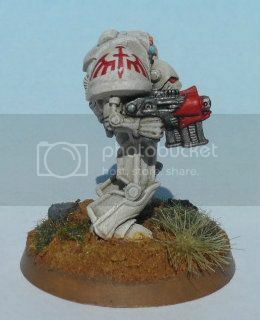 So you really can relax and start painting your heretics all you like! I Lone Scout return from the wild and swear to atone for running with wolves, lions and bad dudes in black armour. I hereby repent and vow to asemble and paint 3 AoA bikers by Septembers months end. (even though the AoA have already been redeemed). Edited by Lone Scout, 02 September 2012 - 10:30 AM. I'm fluffy so surely the emperor will reward me? "All the theory in the world won't give you a win unless there is a cohesive plan based on the understanding of how each unit functions in a variety of environments." I pueriexdeus do swear that the Pueri forges are at peak capacity. @Stobz, my Thunder Hawk will be leaning toward the Bomb Pylon/TLD config. HMMM December??? Edited by pueriexdeus, 30 September 2012 - 06:15 AM. 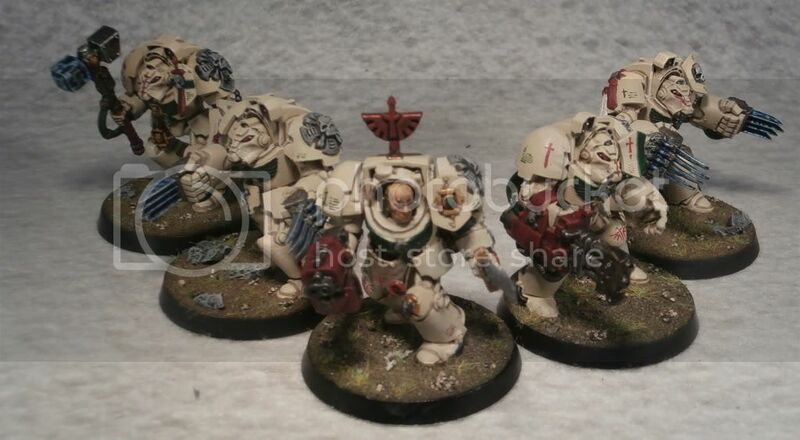 I, Cactus, do vow to complete the below Deathwing Squad before the month is out. Edited by Cactus, 09 September 2012 - 09:07 AM.